FRIDAY — The Indies are always one of the highest profile events during Canadian Music Week. This year was the 13th annual edition. In between award presentations to various local and national talent, the evening featured a great line-up of "indie" bands including Metric, Matt Mays, Diamond Rings, Cadence Weapon and Cold Specks. It made Kool Haus one of the places to be on the festival's Friday night. Vancouver’s Yukon Blonde kept the event's energy going thanks to the underwear-clad, tambourine skills of Branko Scekic (bassist for indie rockers Dinosaur Bones). It was, without a doubt, the most fun set of the evening. Toronto's Yukon Blonde? 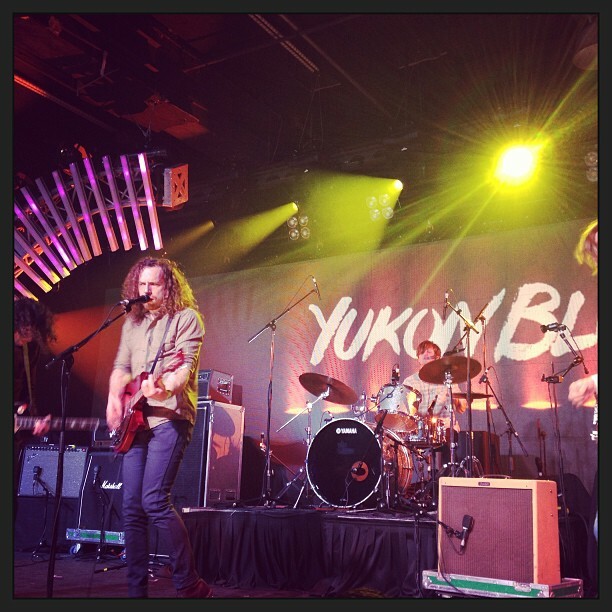 I think you meant Vancovuer's Yukon Blonde. An argument can even be made for Kelowna's Yukon Blonde. We did indeed. Thanks for catching that.